I don't think any computer I have ever owned has had enough USB ports to satisfy my needs. Mics, headsets, keyboards, cameras, cell phones, and this thing all demand access to my ports and there are simply not enough to go around. That's why I'm so glad that USB hubs exist — They increase the number of connections at your disposal and keep your gadgets from fighting gladiator style death matches to determine who will take the last computer port (actually, that would be kinda awesome). Alright, enough small talk, here's the deal. The Unitech Six Port USB 3.0 SuperSpeed Hub is on sale on Amazon for $19, down from its normal price of $31. 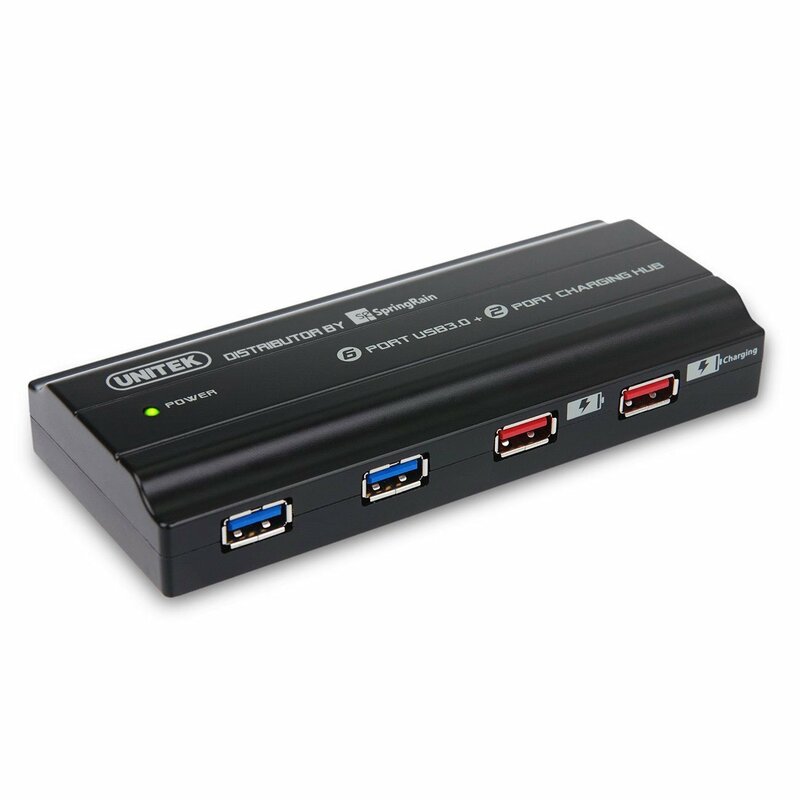 The hub is loaded with four USB 3.0 ports and two fast 2.1A USB charging ports. The device has built in surge protection, is backwards compatible to USB 2.0, and works out of the box with Windows, Mac OS, and Linux computers. The reviews are are mostly good, with an average rating of 4.1 stars. To pick up the Unitech hub at the discounted price of $19 just enter the coupon code NUC768OZ at checkout. If you pass on the deal and your USB connected gadgets revolt and fight each other to the death, don't blame me. Instead, send me pictures. My money is on this guy.